Today’s warehouses date back to World War II. They evolved from granaries and railway depots to become the commercial warehouses we use today. World War II had a significant impact on warehouse development and expansion due to mass production and the storage of war supplies. In the almost 80 years since many companies have expanded into international markets, their storage needs have grown right along with them. Today, we can monitor and control the flow of inventory and track and analyze our warehouse systems to improve efficiency, accuracy, and speed. Like most warehouse equipment, your racking system should last for many years with the right maintenance. Cracked beams, corrosion, dents, and unleveled racks can affect the stability of the structure, leading to damaged products and unsafe conditions. When your racking system shows signs of damage, sometimes it is good enough just to repair it, but there will eventually come a time when it will have to be upgraded. Are you constantly repairing your racks? Joints and parts are worn down with age and heavy use. Pallet rack damage is inevitable, and eventually, every warehouse will face the question of whether to repair or upgrade their racking system. Replace your rack when the front or back has sustained damage, and there is damage in multiple areas and at different heights. Some standard racking systems may cost as much to repair as to replace, so invest in new racks. Are your inspections routinely turning up with issues? In the rough and unpredictable environments found in the warehouse, inspections of the racking system are required to reduce your legal risks and ensure your employees are safe. The racking system should be inspected once or twice a year to make sure it is in good working condition. If you notice more instances of damage during your regular inspections, it could be an indication of deterioration and age in your racking system. The decision to repair or replace depends on the scope of the problem. Is it just your racking systems that are damaged, or do your resuable bulk containers need to be replaced, too? Use your bi-annual inspection to determine how to keep your warehouse operating as safely as possible. Are you striving to keep up with inventory changes? 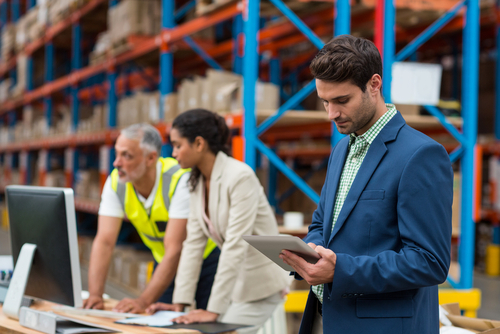 Inventory management is the pillar of every successful warehouse. The constant stream of products in and out of the warehouse, combined with changes in seasonal inventory, can be challenging. 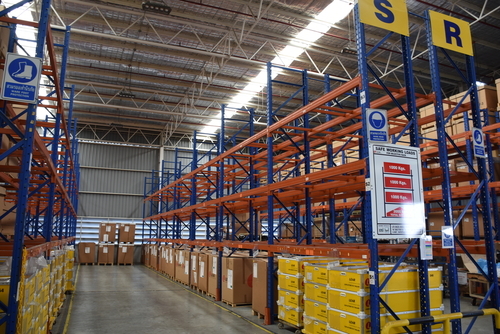 Warehouse racking systems are one of the basic infrastructure mechanisms that facilitate a flawless operation. The correct racking system can help you manage your storage needs throughout the year. The best warehouse racking systems allow you to assess their inventory at a glance, apply first-in-first-out methods, especially for perishable items, and enable easy and safe access to merchandise, using racking such as flow racks. Are you running out of space? When you no longer have space for inventory in your warehouse, you likely need a different racking system. Racking systems are devised to enable warehouses to organize products efficiently, maximize their use of space, and allow easy access. You may just need a different racking system, not necessarily additional racking structures. Look for upgraded pallet shelving that will enhance the density of your storage in the same amount of space, such as stack racks. Has productivity started decreasing while inventory increases? If it is, you may need to change your pallet racking system and the warehouse layout. The productivity of your warehouse is directly linked to your ability to organize your operations. Upgrade your racking system. An organized racking system will help make the most of your warehouse space, while providing easier access to a fast-moving inventory. Upgrade your warehouse racking system when you are moving to a new facility. Review your operations and new space plan carefully. Switching to a different type of racking system could streamline operations and improve unloading, storage, and loading times. New racking systems can turn out to be more cost-effective than moving your current one. Choose a racking system that fits the dimensions of the new facility, rather than attempting to adapt the old racking system. Make sure you check your storage solutions, too. Wooden pallet and container sizes may have to be adjusted to fit a new racking system.